This original Dymo S0722520 label roll features 500 labels measuring 54mm x 25mm, although they are intended for use as address labels, they have may other potential uses. This top quality Dymo 11352 label roll is compatible with the Dymo LabelWriter SE450 and many other printers. 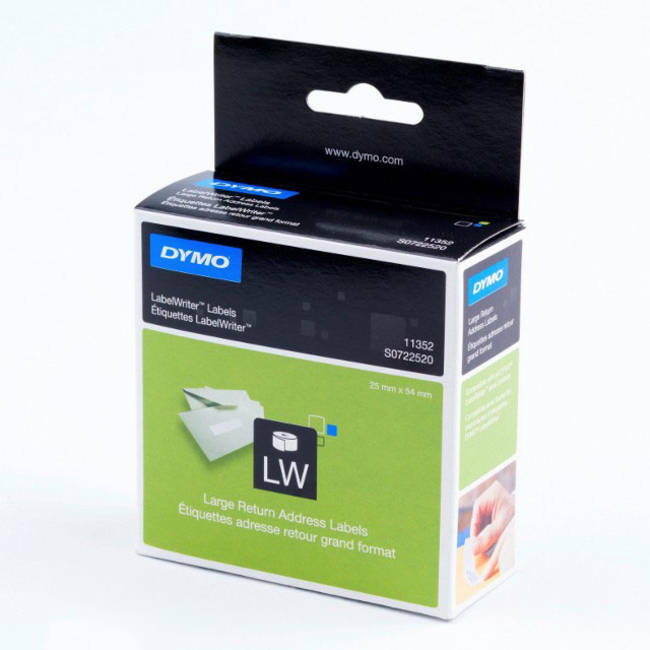 As a genuine Dymo S0722520 label roll you can be assured of the very best print quality and guaranteed compatibility.